Brian Johnson's second album as AC/DC's frontman, and as such helped them create a phenomenal commercial ... Full Descriptionsuccess, with both singles, 'Let's Get It Up' and the title track, charting on both sides of the Atlantic. 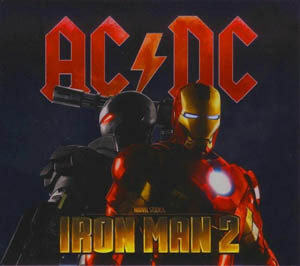 The album went on to sell over a million copies worldwide and the title track became an immediate live favourite, complete with a cannon-fire salute stage show that became instant encore material. Elsewhere, their familiar rattle remained intact, with 'Night Of The Long Knives' and 'Breaking The Rules' forging a familiar piece of metal.